I am sure by now, all of you out there know I just love painted paper. There is a depth and texture that painted paper contains, the colors are so rich and exciting. I stumbled across the talented artist Rex Ray. I truly fell in love with his style of art. The organic shapes layered on top of geometric backgrounds and the complimentary and analogous colors displayed were so striking. Just a little background on Rex Ray, he is a San Francisco based fine artist, whose collages, paintings and design work have been exhibited at galleries and museums across America. Check out his fab website here. He started creating small beautiful collages after working all day as a graphic designer to relieve the stress of any negativity that he might have been privy to that day. I decided let’s follow in his foot steps and create some positive artwork for our school hallways. These projects were created by my 5th grade students. After we examined the beautiful paintings created by Rex Ray, students used pencils to draw patterns using some type of repetitious line or geometric shapes. Next, students used analogous tempera paints to paint the background. 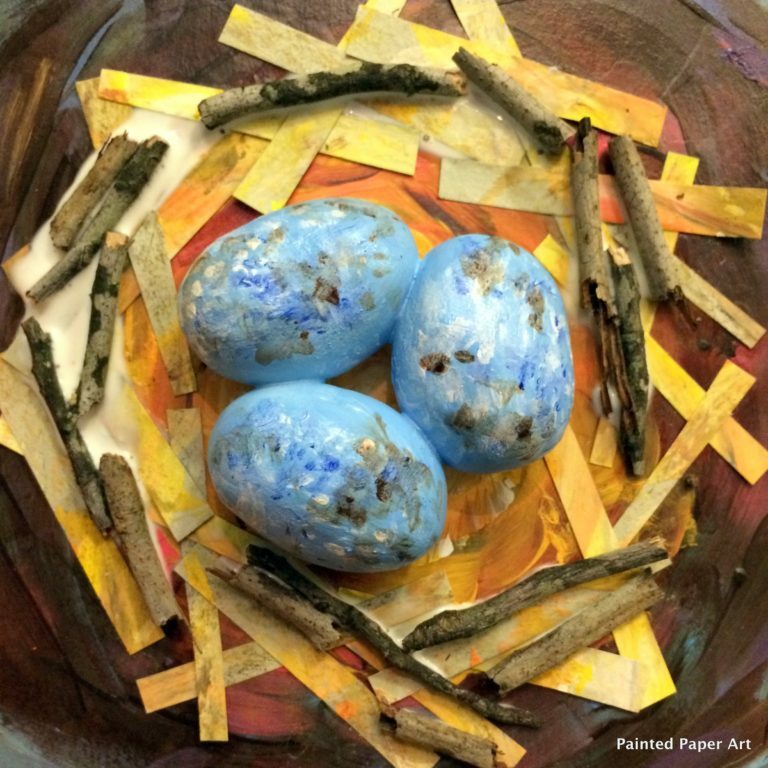 Students used various colors of painted paper to compliment their previously painted projects. We discussed the curvy lines found commonly on organic shapes. seaweed and leaf shapes as well. Students jumped right in and created beautiful shapes. Once they had their shapes all created and cut out, they glued them neatly onto their backgrounds. Love all your projects, Miss Laura! Thanks for the tip on an artist who is new to me. I am definitely pinning this for the future!! But yours is much more practical and approachable for children. You've inspired me to give it another go. Thanks Laura! I LOVE these and want to try them! I was inspired by your blog and had my first graders paint paper and scrape through it and they were to cut out Jim Dine style “hearts” since it was close to Valentine's Day. So many of them loved their painted paper too much to cut! Some cut out from the oaktag table mat that was under their painting instead! It was hysterical! Thanks buddy! I see the students once a week. 5th and 6th grade every 3 days. Man, I can see the difficulty of only seeing them twice every 6 weeks. Maybe get up some painted paper in storage for future projects to help out.